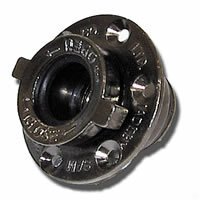 This is the standard military valve in many older whitewater boats. This valve will also work in Boston Whaler Inflatables. From Richard Johnson of Mount Vernon, Washington on 10/12/2015 . From Anonymous of Minot, North Dakota on 9/24/2012 .